When the population density of a city increases: its residences will be built vertically, not horizontally. If done in a suburban neighbourhood, will often result in the transplacement of basement in lieu of garage. In doing so, a new generation of bands are being forced to play in a basement rather than a garage. This has led to a new phenomenon I’m dubbing, “Basement Indie.” Because of the nature of vertical living, these budding indie bands are retreating to a lethargic and mourningly subdued swath of alternative music rather than the aggression and punk-ethos commonly associated with garage rock. Nowhere has this trend been more apparent than in the urban sprawl of Metro Vancouver. Other studies have been done in Surrey with Sleepy Gonzales’ Llover (2017), Greater Vancouver with Wax Cowboy’s Darcy! (2017) and Club Sofa’s self titled debut (2018). 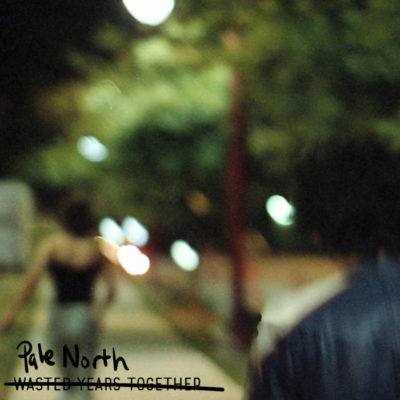 Today’s case study will look at Delta and the band Pale North with their September 21st release, Wasted Years Together. The record was recorded over two years and is comprised of what is essentially a mosaic of demo tracks during that period. Something you’d never be able to tell while listening to the album. The aim is true throughout the album. The band forgoes standard song structure and indulges in a near seamless cross-stitching of dense guitar riffs and gentle reverb and chorus-affected guitar noodling, while ignoring verse-chorus-verse conventions. Intimacy is the main stitching of this album. It’s sewn into the album title itself, Wasted Years Together. Pale North is two friends recording music in a basement. It’s authentic. It’s genuine. It’s what DIY musicians should aspire to accomplish. The rapport and consistency is shown best on the opening and closing tracks. In album conceptualization, this is by design. But it lends a common thread to the album and ultimately ties the release together. Even if that wasn’t the initial intention of the songs. The album closer: “Life’s Not Always Out to Get You (Death of a Narcissist)” embodies that emotional intimacy in some of the opening lines with vocalist Frank Hops’ gently crooning, “What good is being sad in a basement/ for over two years with a close friend?” It’s moments like this on the album that let us take a look into the personal workings of Pale North. Those fleeting moments of youth and vulnerability.